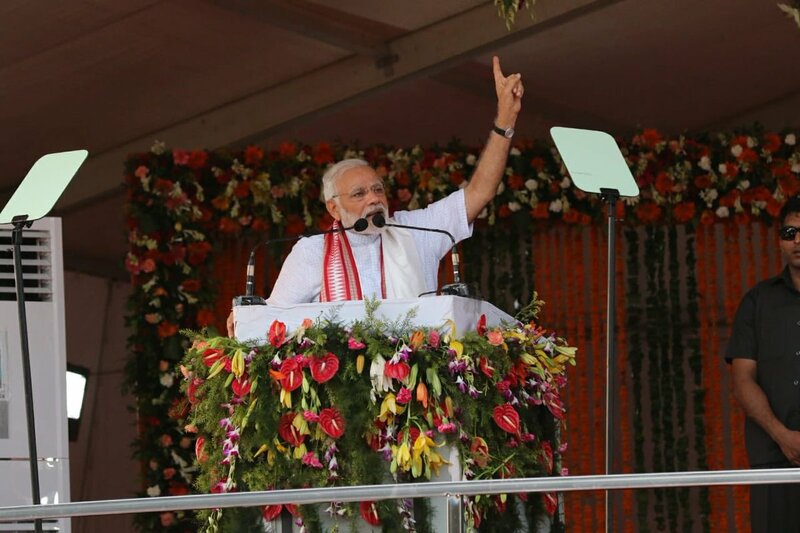 Cuttack: Prime Minister Narendra Modi on Saturday highlighted the achievements of his government in last four years. 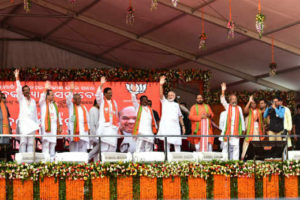 He said that BJP-led NDA Government runs on commitment – not on confusion, while addressing the nation at the iconic Bali Jatra ground on the bank of river Mahanadi here to mark the completion of four years of his government. Addressing a huge public gathering at Bali Yatra Ground on the bank of river Mahanadi in Cuttack on completion of four years of the BJP-led government at the Centre Modi said, “Our government is running on “janmat” (people’s mandate) and not through “Janpath.” He said nation is going from ‘Kala Dhan to ‘Jan Dhan’, from bad governance to good governance. He said the people of the country are watching how the government is fighting against the black money and corruption. In these four years of rule, now 125 crore Indian believe that the country can change for the best. 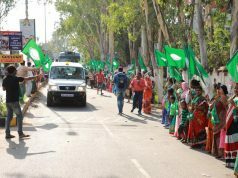 “Development, good governance is good politics for us,” he said. PM Modi said in 2014 there were 6 crores toilets in the country. However, 7.5 crore toilets have been constructed in the past four years. Besides, remaining 18,000 villages in the country have been electrified. Now four crore households have free electricity. 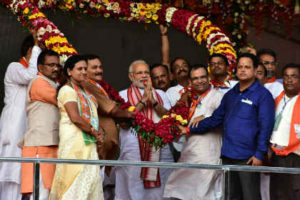 “Due to our commitment for zero tolerance towards corruption, four former Chief Ministers were arrested and are now behind the bars,” Modi said. The Prime Minister further said that President Ram Nath Kovind, Vice President M. Venkaiah Naidu and he himself come from a very humble and poor background. The Prime Minister also said that in last four years, the investigating agencies have carried out searches at over 3,000 locations and unearthed over Rs 53,000 crore of the undisclosed money. 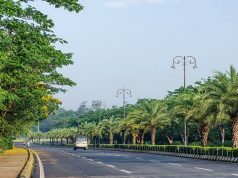 Modi claimed that the government even seized properties over Rs 35,000 crore after the Benami Properties Bill was passed by the government. “It was the commitment of the government that passed the Benami Properties Bill, instead of the confused government which delayed it for over 30 years,” he added. Speaking about the healthcare situation, Modi said the healthcare service is alarming in the state. It is not clear what government is doing. Stating that the state government has left the farmer to suffer, he said his government has set a target to double the farmers’ income by 2022. PM Modi said the Naxal menace has come down in the country. The number of Left Wing Extremism (LWE) affected districts has come down from 126 to 90 districts. “Our journey has not ended in four years, we have a long path to cover,” he said.